Digicel has been named ‘Bermuda’s Fastest Mobile Network’ by mobile network company Ookla. A spokesperson said, “Ookla, the global leader in fixed broadband and mobile network testing and the company behind the well-known Speedtest app, confirmed that Digicel customers have access to the fastest mobile network on the island. The telecoms and home internet company was awarded ‘Bermuda’s Fastest Mobile Network’ following a period of testing earlier this year. 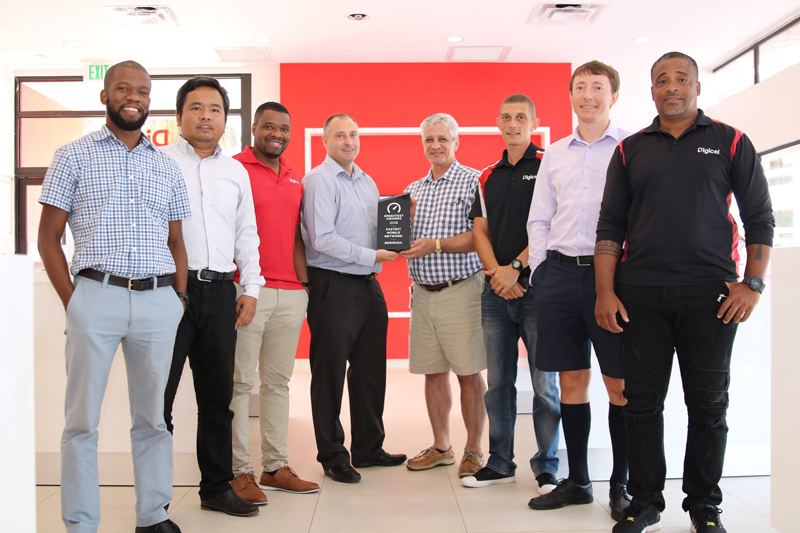 “We are proud that this independent result, by a globally respected speed measurement company, has proven that we offer the fastest mobile network,” said Andy Owen, Technical Director at Digicel Bermuda. “Not one to rest on our laurels we are about to trial a new software release that will bring further benefits to our LTE network and customers, meaning we will be able to increase download speed even further, allowing customers to do and experience more of what they love on an even faster, more reliable network. Our current mobile network consistently gives speeds of 120Mbps at various locations, depending on the mobile phones capabilities.